Finance Ideas 4u: Does the type of loan and loan payment plan make much difference in home finance? Does the type of loan and loan payment plan make much difference in home finance? Does the type of loan and loan payment plan make much difference? - Yes, types of loans and payment plans create significant difference in case of any mortgage including home finance. 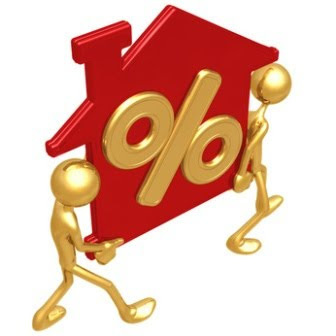 These two are most important factor in home finance to decide whether the amount that you are paying every month goes towards creation of your equity in the house that you bought or the amount that you are paying every month is going only to meet the interest part and the principal amount that you borrowed is what it is. Which means in spite of making monthly payment you have no equity in your home. Hollander Financial provides home finance options for first-time and second home buyers. For example, in case of traditional home finance, during the initial few years, the major part of your monthly payment goes towards interest and only a minor part towards principal amount. However, whatever money goes towards the principal amount of loan, creates at least some equity for you in your home. On the other hand, after few years, a major part of the monthly amount that you pay goes towards reduction of the principal amount, which adds to your equity in your home. Therefore, the original loan amount decreases and your equity in your home increase after few years. On the other hand, if you have opted for interest-only mortgage payment, you are only paying towards the interest part of the loan. The principal amount that you owed remains as it is. Now suppose you opted for interest-only mortgage payment, which is for, say, five years and after this period you have to pay for both the interest and the principal. But the amount that you paid monthly for the first years went only to meet the interest part. That amount did not create an iota of equity in your home. Moreover, in spite of paying interest for five years, even then you have to pay for the same principal amount that you borrowed initially. Therefore, the debt remained does not change. Similarly, in the payment-option, if you make only a minimum payment, you are not paying the whole interest part. Therefore the balance interest gets added to the principal loan and you are only increasing the amount that you owe. Therefore, the type of loan and payment plan makes significant difference. I really enjoy your post. I am going to start following you. I have just started my own blog and I would appreciate it if you would check it out.